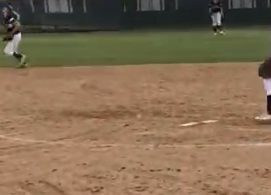 HEMET (3-13-16) — The tenth ranked Grossmont College Griffin baseball team ran their winning streak to an even dozen after dispatching the Eagles of Mt. San Jacinto 8-2 on Saturday (Mar. 12) in a Pacific Coast Athletic Conference game. The Griffins (13-5, 6-0 PCAC) used the pitching of DONAVON McCRYSTAL (2-0, LL) to get the win. McCrystal threw five innings while striking out four batters. Grossmont used the wrap around approach to winning as the 9-1-2 batters combined to gather half of the 14 hits the Griffins had on the day. But eight of the nine starters got at least one hit. 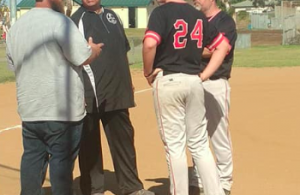 Mt San Jacinto (8-10, 4-2 PCAC) was only able to get four hits against the quintet of McCrystal, JARRED WRIGHT (San Pasqual), ALEC GODOY (Otay Ranch), ANDREW SCHULTZ (Patrick Henry) and AARON CROSS (Mater Dei, Santa Ana). Other than McCrystal each pitcher threw one inning. The win gives the Griffins a two game cushion through one round of conference games over the Eagles and two and a half over Palomar (8-9, 3-2 PCAC). Now the PCAC will transition into their standard weeklong series. First up for the Griffins will be the Comets. Two of those games will be at Noel Michelsen (Tuesday and Saturday) and one game up at the new Palomar Ballpark (Thursday). 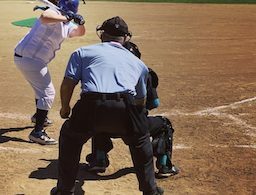 Weekday games start at 2:00 p.m. while the Saturday game will begin at 12:00 noon.